Is Windows Phone 7 Doomed ? Lack up updates and information from Microsoft, for a phone that is buggy starting to concern many. At the same time Microsoft Windows Phone 7 (WP7) launched. Another mobile phone division of Microsoft (conflicting per those in Microsoft) was having a drama as they introduced a new phone (the KIN), the mobile team then had it killed, then introduced again then killed it again, confusing I know. This has been referred to some since as the Microsoft Kin Effect. The KIN took years of development and acquisitions of Danger Incorporated that also had the T-Mobile sidekick (a popular handset with its own problems where the KIN was derived). The R&D around all of this has been estimated in the <gulp> $USD Billions of Dollars. Due to poor US Sales, (not a surprise due too little advertising and poor pricing), a planned launch in Europe was scrapped and the KIN team (now Microsoft mobile refugees) were was rolled into the about the launched Windows Phone 7 Mobile Division and severely de-prioritised, e.g. all but scrapped again, others in the group were sent off to Microsoft Siberia. Those aware of this in the media (businesses, and consumers) a bit nervous about buying a new WP7 phone, especially business sector that in some cases had to update dozens of handsets though they may still be running IE6 browsers and Windows XP both way out of date. A still larger number never heard or cared about the KIN so Microsoft escaped a bullet there. The market was taking shape; Apple had few models to choose from all the same but for storage size but all apple. Google had their own problems as handsets were many but varied in size and specification. A mixed blessing for Google but a successful one in that by having many models to choose from, market share has skyrocketed. The Microsoft Model would be a hybrid of Apple and Google Strategies, with multiple models but all with a specific specification that would give a uniform experience to customers. But this also meant Microsoft had to do a good job to compete with the iPhone or one of dozens of android phones. Many felt Microsoft had to introduce a phone better than the Apple iPhone, a tall order indeed. So was Microsoft serious about WP7 and would the benchmarks be for Microsoft to pull the plug on WP7 as they had done on the KIN such as poor sales figures. Remember in the case of the KIN it was simple billions of dollars in Microsoft R&D were sacrificed would the same be done for the WP7? The good news was Microsoft was introducing the phone globally (all but at a low budget global event) far from the glamour of an Apple launch. Different handsets were being introduced across different global markets with a similar technical minimum being maintained to offer consistent experiences for users. Like Apple and Google had already done, Microsoft promised publically relatively frequent updates to the handsets, something that was for this slow moving giant well received and anticipated, especially for consumers and businesses that jumped on the bandwagon early to buy a single or multiple handsets. Here in Australia marketing for the Microsoft Windows Mobile 7 was a non-event, so much so that many larger shops from Optus and Telstra that had WP7 phones did little to support or even offer them for sale even weeks after launch. Updates offered a real comfort to Android and Apple iPhone users as though the handsets are not perfect a fix was only an update away. To date Microsoft has forgotten about updating handsets or telling customers & enthusiasts what the heck is going on. Will all the amazing number of poor quality apps for the iPhone and Android Phones, fart noises etc. There are a larger number of good quality apps. Unfortunately, to date many feel that some needed apps for the WP7 have yet to materialise. Many developers say making apps for WP7 is a good experience, but prefer to focus on where volumes will be sold and that means anywhere but WP7. Others have said when the demand is there they will produce apps. Even those in the media shouting from the roof tops on the wonders of WP7, are starting to wonder if they backed a loser, and Microsoft has done little to change anyone’s minds on this even attacking those that have grown frustrated at the lies (promises not kept). The Nokia Salvation – Too little too late? When it was announced of the JV between Microsoft and Nokia, after Google had failed to seal the deal with Nokia themselves, many thought this would be good news. Unfortunately in press interviews the words ‘Window Mobile’ were used but never the word ‘seven’. 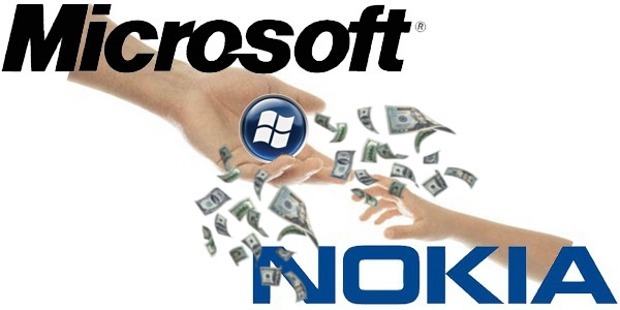 It then follows that the Nokia alliance will take 2 years to bear fruit way past the life span of windows phone 7. So can Windows Mobile live long enough to be saved by Nokia that has the distribution power and market share to save Microsoft Mobile? It is also believed Microsoft might launch a Nokia only Version of Windows Phone, so not helping those with non-Nokia handsets. Recent software update attempts (even an update that allows other updates) has not gone well for Microsoft and mainly for scores of customers. Additionally, for one Samsung WP7 case I had to order a case for it from China as none are available months after launch in Australia (per Optus and Samsung). It has been hinted that there will be a minor Windows Mobile Update still in 2011, but nothing more major until 2012. But it has been up to forensic media folk to even find that out. As someone that regularly suggests hardware, including phone handsets, I am looking forward to the next 4G handsets, iPhone 5, other new Android Handset, The Nokia WP7 phones, and other Windows Phones (version 8) in that order after that and will likely be selling my Window Phone 7 as soon as a better handset one comes along, which may not be so far away. Another nonsense written by a microsoft hater, who is so blind he makes ridiculous assertions and conclusion’s. When Android was introduced bt T-mobile in 2008, it did very poorly. Now look where it is. Apple has sold 50 million Iphones worldwide give or take in 3 and half years. Nokia has nearly 300 million phones in China alone. Their are 7,5 billion people on earth only 308 million live in the USA filled with arrogant , prejudiced know it alls like the writer of this absolute crap of an article. It’s like having the tea party baggers write about President Obama. All you here is faults. Only Samsung handsets about 10% had problems with WP7 updates. A firmware problem stemming from Samsung’s fault. Android had a plethora of faulty updates due to excessive fragmentation and tinkering with the OS. Microsoft has a much higher customer satisfaction ratings with WP7 than any other handset in history (93%). Microsoft’s stated goal is to creat and evolve a different and more efficient mobile OS which will gain world wide traction and acceptance. Microsoft also clearly said they were not in a race and are in mobile OS to stay. Idiots who keep evoking KIN as a failed strategy fail to understand that when it was obvious to MS that WP7 was materializing, it became necesary to terminate Kin. The world most successful Tech company and largest software maker is being attacked by poorly informed and hatemongering tech cretins like this writer to stop or curtail it’s mobile computing stragey in a rapidly advancing moble world. By the way I love Microsoft, Apple , Google and other tech companies. They should all be encouraged to succeed. I use all their products. Competition is great. Hatred is aweful. Microsoft is a symbol of USA and Technology. Rooting for it’s failure by dissuading or steering customers away from it is patently un American and anti-technlogy. The same goes for Apple, google, IBM, SIEMEN’s, ARMS, etc. LOL Geez someone needs some more bran in their diet, don’t they. Marina Del Rey nice place BTW, is that in RUSSIA ? My respect for your comments is only surpassed by my sorrow of your prejudice, ignorance and not understanding a really simple story. You tea baggers are all the same. I love it when folks that disagree with you, are not mature enough to offer an opinion without calling someone a HATER because they state the obvious, disagree with them or both. FACT: The thing Android did/does and Apple do, is offer updates, and offer updates when they say they will. Neither offered updates and did not deliver on them. Please let us know what device google or apple pulled or apple has pulled only months after launch. Notski…Princess, So the KIN was that a samsung issue ??? And look Elivis is working at the gas station with ET … PLEASE ! Was the marketing and killing of the KIN (needlessly) anything other than a Microsoft issue. The KIN was a popular and good phone and should not have been pulled/de-prioritized. This is the reason folks are concerned, if MS can walkaway after spending billions on it (given little help in marketing or time in sales) then the WP7 might face the same issues thus the parallels the story raises. FACT: The article was not a brown nose job of saying how wonderful Microsoft was oh and here is a little thing thing we would like fixed, I will leave it to right wingers in the USA like you. It was about the problems they are facing, and the appearance (perhaps correct / perhaps not) that the WP7 is doomed. I would say the chance is 40/60 against. FACT: I am not the first one in the PRO, Microsoft camp to raise these issues. Yes LyinPrince, I said PRO MS, I am a Microsoft Partner and have been for 15 years DOH ! I own around a dozen MS devices and 2 Apple devices. I have a large frustration towards Microsoft as a result of them creating the best products/ services then leaving to others to often deliver on them, improve on them. Finally you note that there are 308m people in the USA filled with people like me. I assume you noticed that the ‘stupid’ writer in Australia. What’s long and hard on an idiot in Marina Del Rey ? Common sense, and geography I guess. BTW Australia is not in the USA ..